Lipoma is a growth of fat cells in a thin, fibrous capsule usually found just below the skin. They are found most often on the torso, neck, upper thighs, upper arms, and armpits, but they can occur almost anywhere in the body. 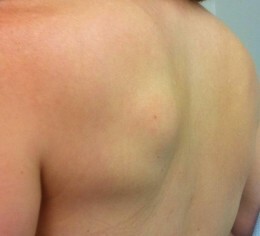 A lipoma is a harmless deposit of fat under the skin that’s typically found on the neck, back, or shoulders. A lipoma feels soft and isn’t painful, making it easier to diagnose than other skin problems. 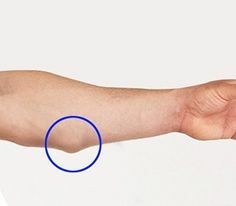 A lipoma is a growth of fatty tissue that slowly develops under your skin. Lipomas are just under the skin and move easily when pressure is applied. They commonly occur in the neck, shoulders, back, abdomen, arms and thighs.